View our vast range of HDPE Sheet at great prices below. 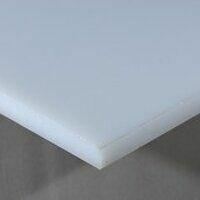 HDPE plastic sheet, otherwise known as High Density Polyethylene sheet, has superb sliding properties and is abrasion/wear resistance because of its low coefficient of friction. All next working day delivery orders must be placed by 2.00pm for same day dispatched.